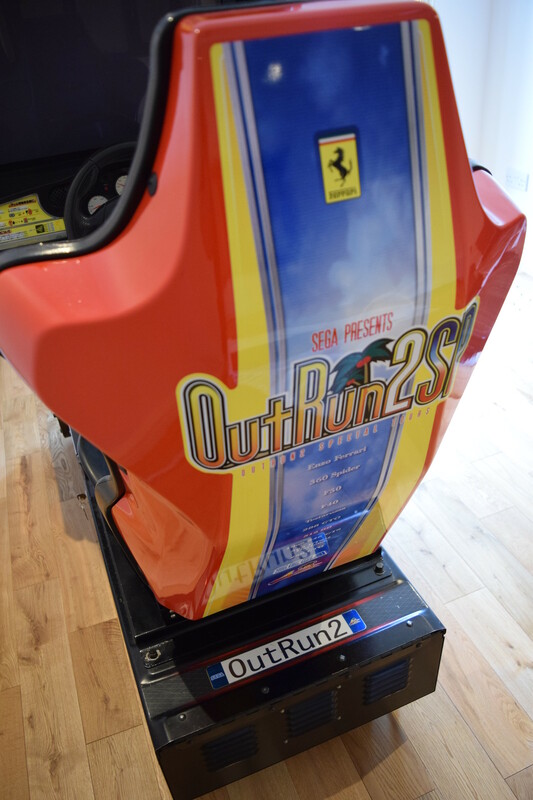 OutRun2 is a favourite of mine and I’ve been keeping an eye out for a nice machine for a while. 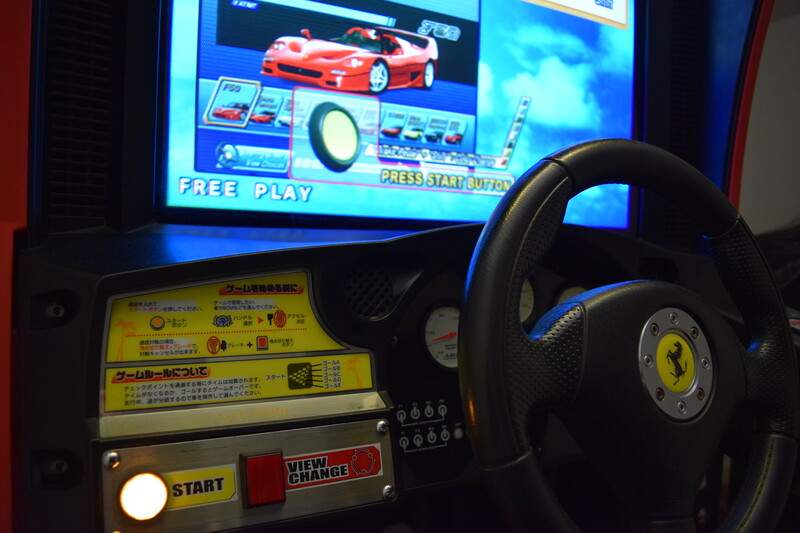 Also I liked the idea of getting a machine which I could never have had at my old address. I’ve recently moved house and have more space in my new games room. 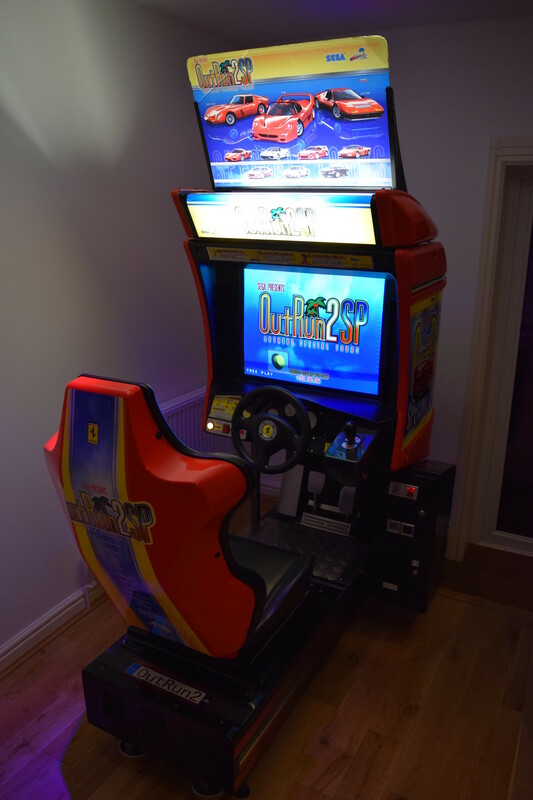 The room also has the advantage of being on the ground floor, so no more lugging arcade cabinets up the stairs! 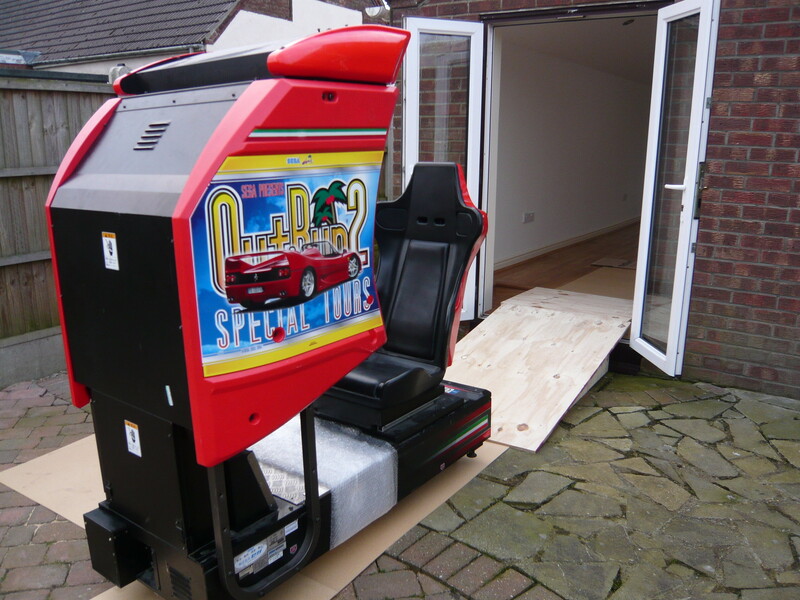 I posted a wanted ad and when Joel / Retrorepair (Ukvac) contacted me regarding his Japanese OutRun2, a deal was made and my wife and I ventured down to sunny Southend to pick it up. 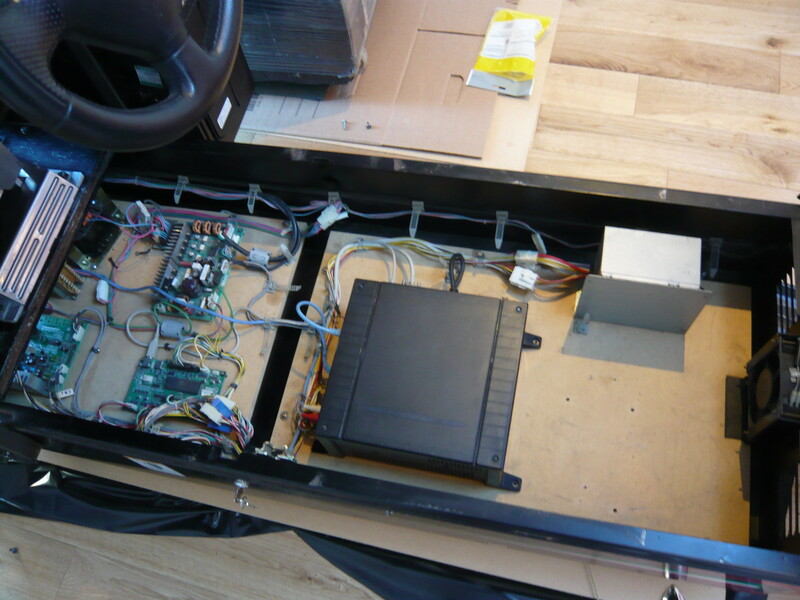 We hired a tail lift van, so getting the machine onto the van wasn’t too troublesome. However as we concentrated on manoeuvring the cab from the tail lift and into the van, my wife suddenly shouted "Nooooo! Marqueee!!!!" The marquee holder was indeed perilously close to the top of the van and was hastily removed. 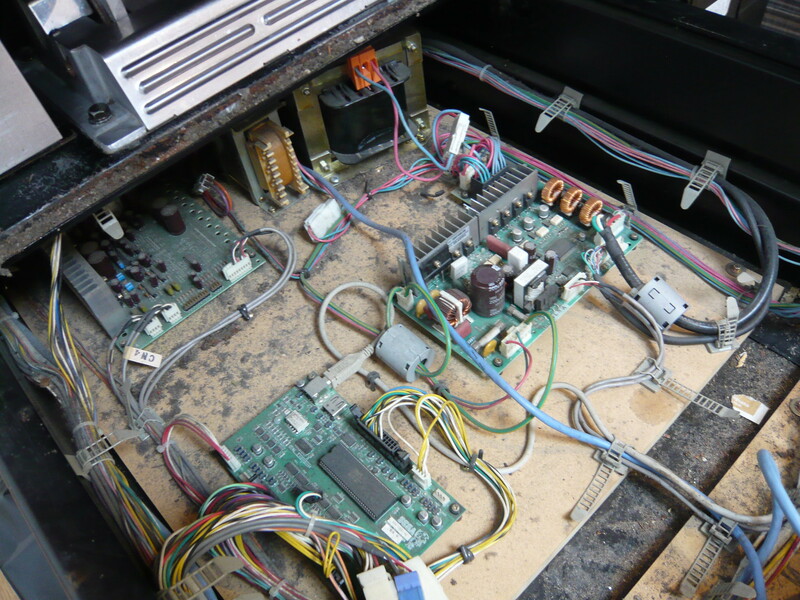 We then spent the next two hours safely securing the machine in the van. When we got home, we tested out our newly constructed Arcade Ramp System™, which worked surprisingly well considering our lack of wood work skills! The cabinet is in really nice condition. The side panel and seat plastics are excellent with no damage / cracks and the artwork looks brand new. 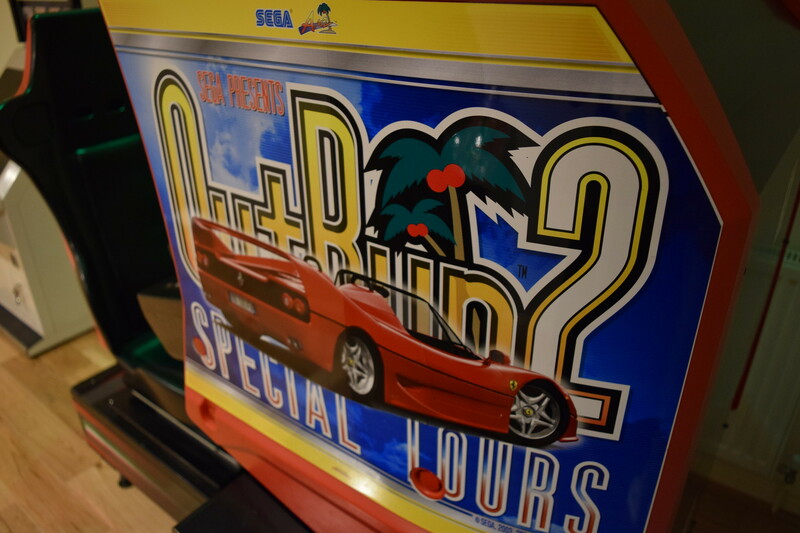 It looks like the machine was originally an OutRun2 and later converted to Special Tours as SP art has been applied over OutRun2 art and there is slight overlap. The base was pretty dusty and has some user wear, but cleaned up really well. I spent a good few hours cleaning the base, inside and out. 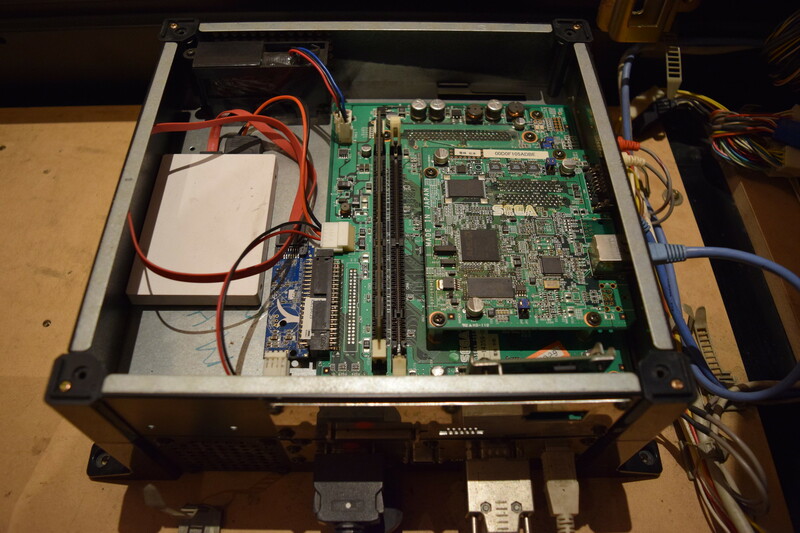 Here are some pics under the hood, before and after cleaning. 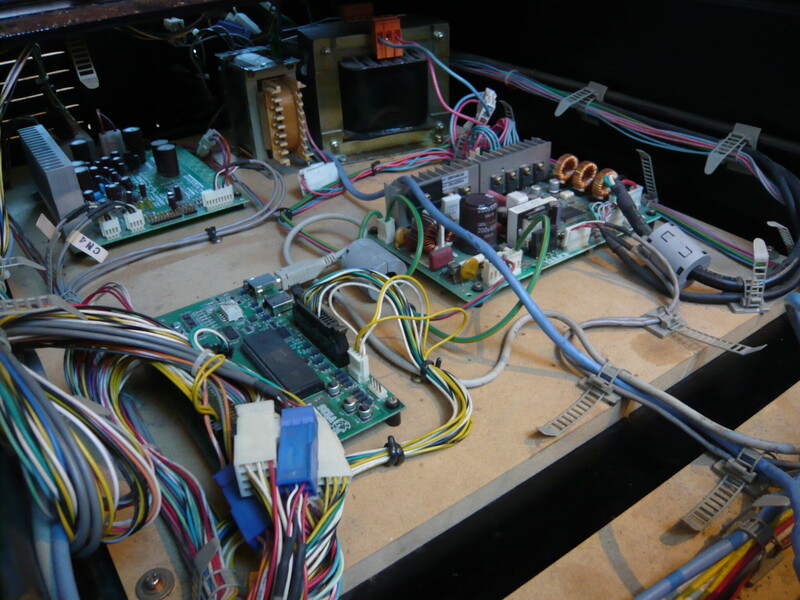 A look at the Chihiro Type 3 hardware. 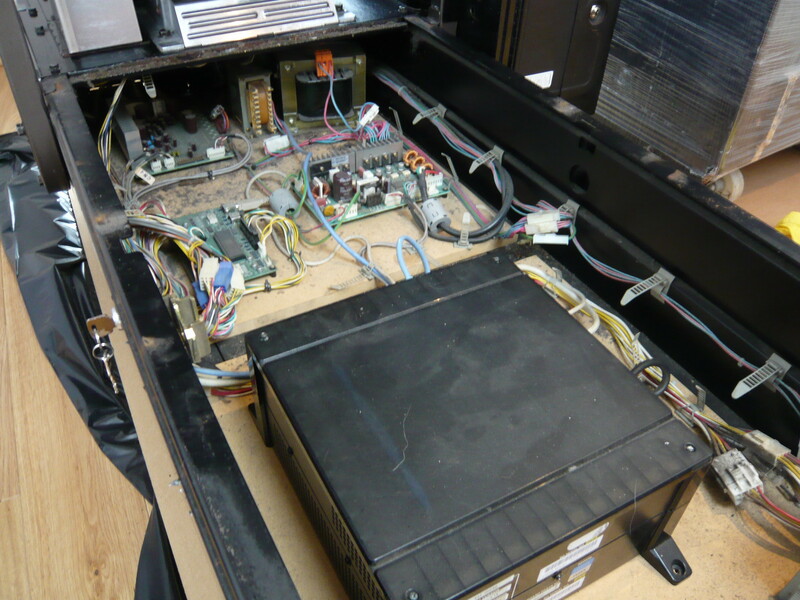 I gave the monitor tube and chassis a clean with an ESD safe vacuum cleaner and an antistatic brush. 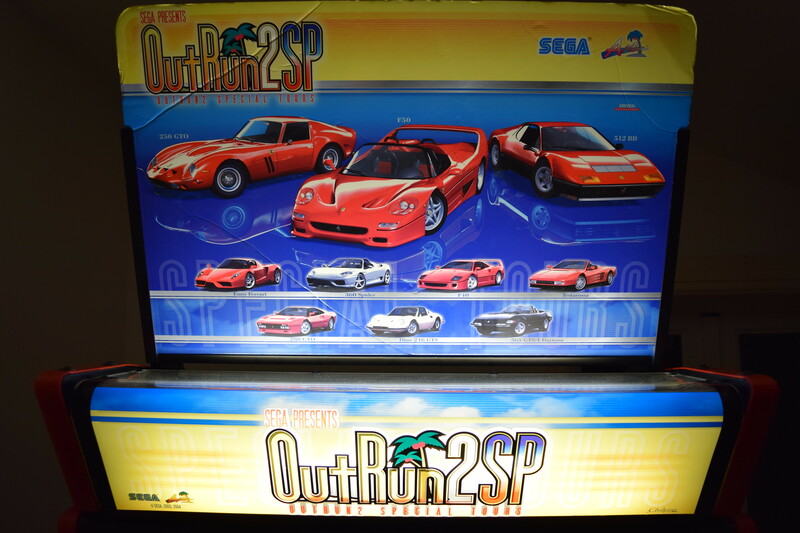 The Japanese cabinets came as single units, incorporating the awesome lightbox and topper. 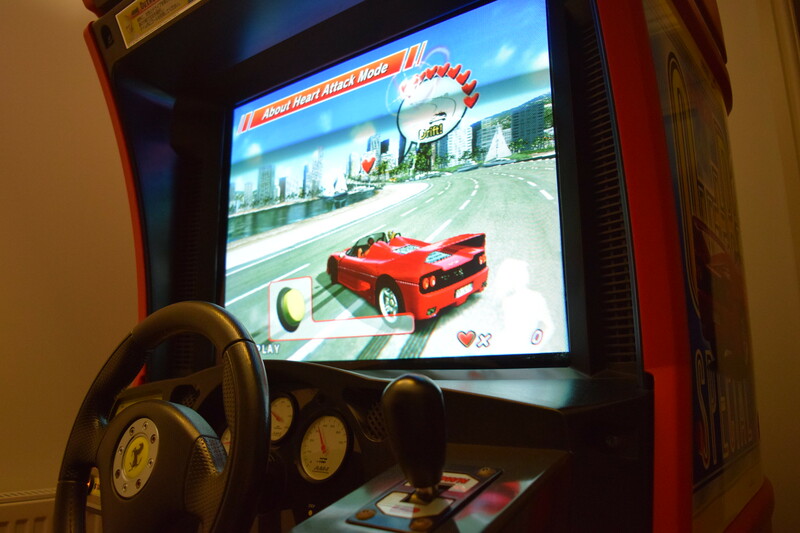 Whereas Euro cabinets were fitted with Sanwa monitors, Japanese models have the superior Toshiba pure flat monitor. 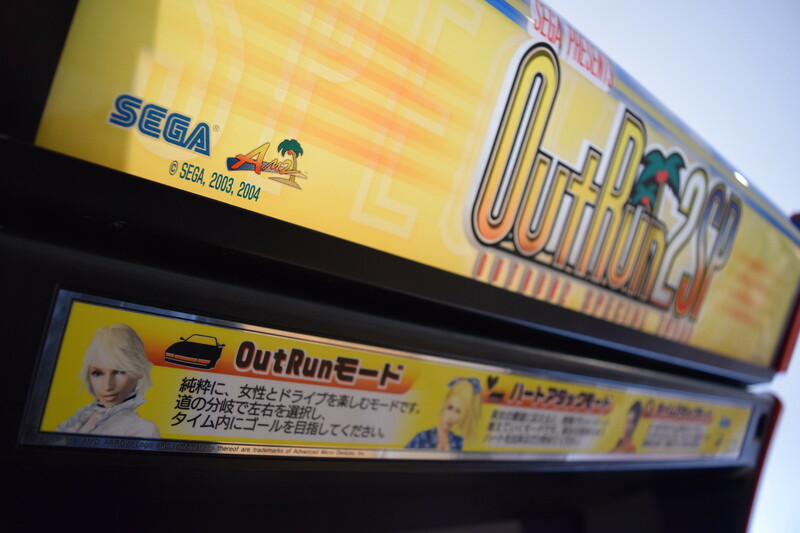 The monitor is burn free and the image is superb, perfect for those Sega blue skies. 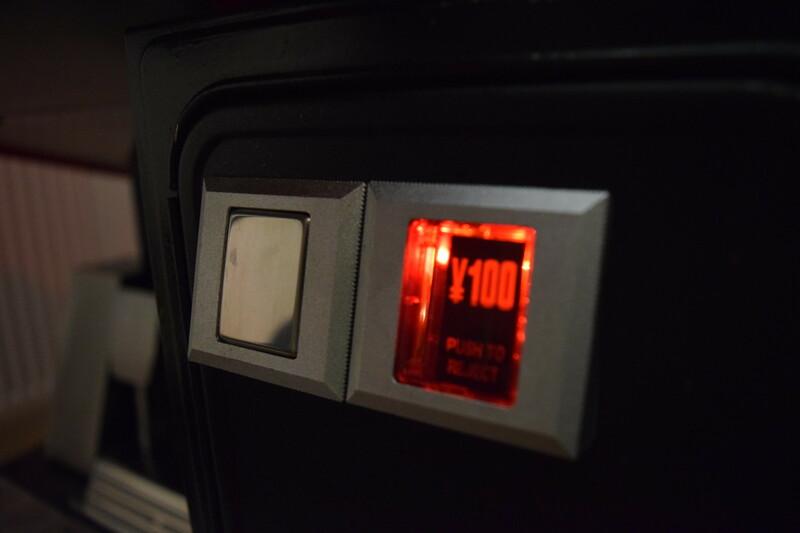 The Japanese cabinet features cool foil backed stickers on the monitor bezel, base sides, base lid and dash. 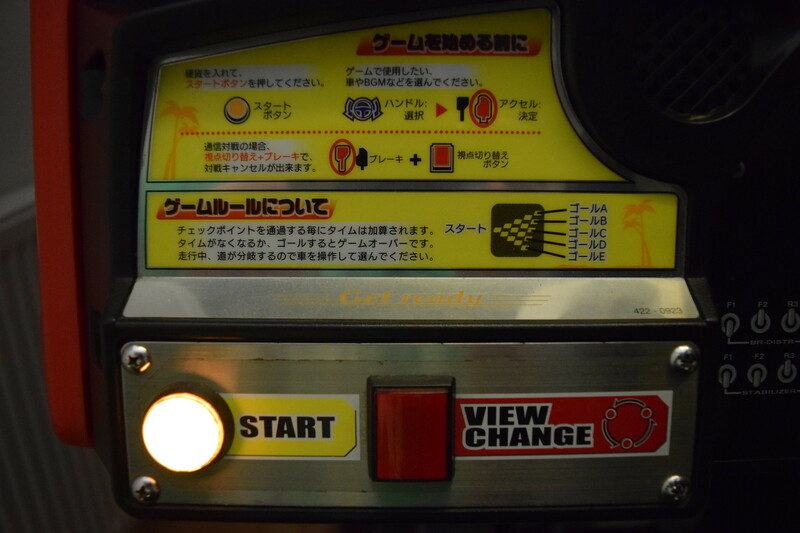 Compared to the Euro model, there are differences to the base as the Japanese cab has checker floor plate. 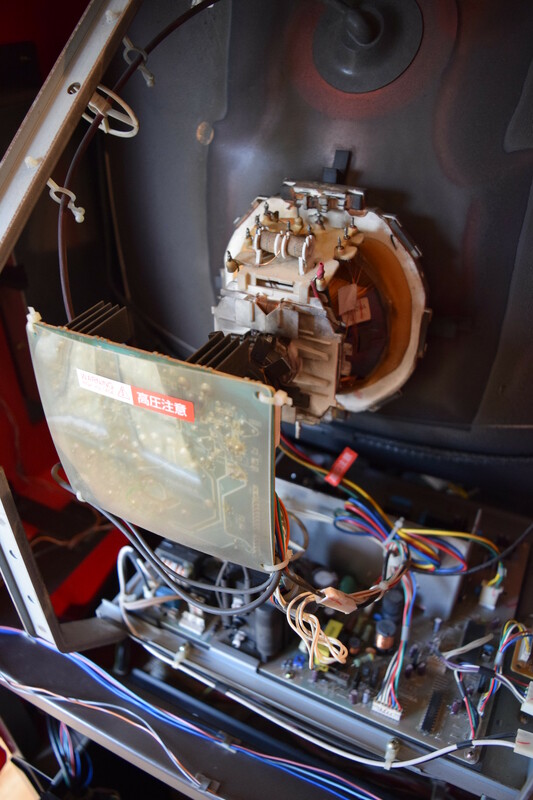 Also the monitor frame is a different colour / finish, there is no green credit button on the dash, the shape of the plastic seat back cover is different and the seat cushions are nicer. 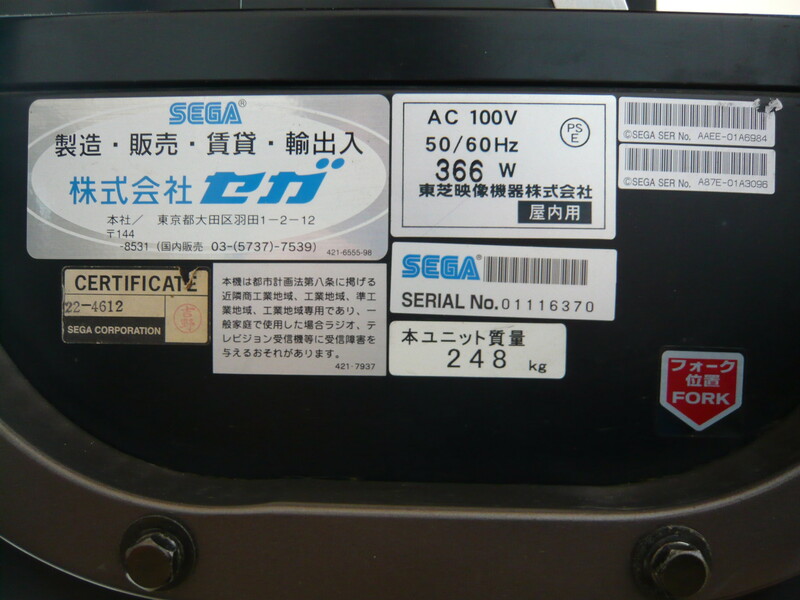 Manufacturer’s stickers attached to the base. 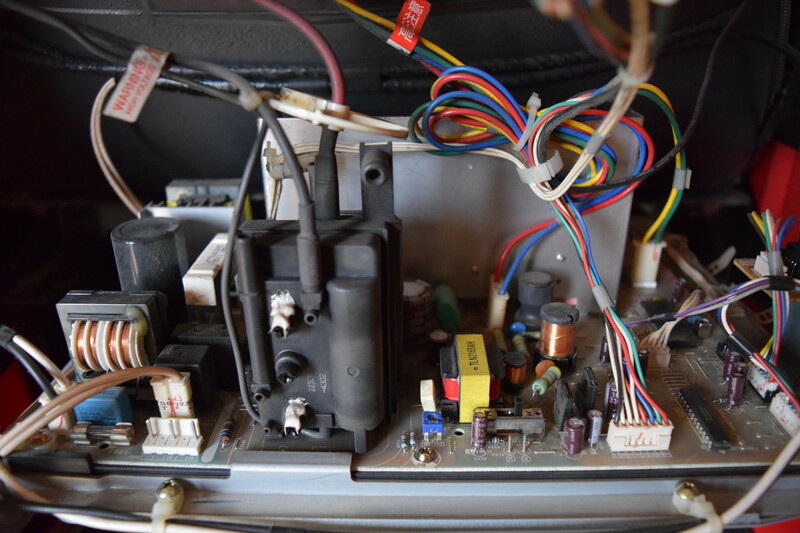 Many thanks once again to Joel / Retrorepair for the cab.